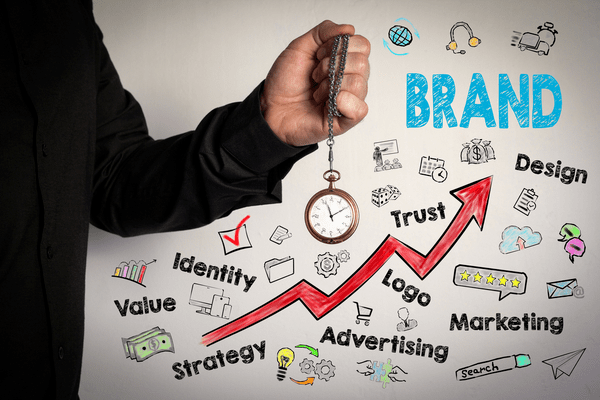 Should you hire an agency to do your branding? There are many things that you can very capably do yourself, do in-house with your team or even get your skilled cousin to knock up. But helping you formulate your brand vision into a reality is not one of them. Over the years working in the digital marketing space, the most critical part of getting a new web project live that everyone loves is the nature of the brand that we have been presented with. Many small businesses make the mistake of just getting a ‘logo done’ rather than extending that process to have an entire branding process completed. I have seen this time and time again, when the end result, of say a new website, doesn’t quite hit the mark. Because the client has a logo, not a brand, and the logo is not a fit with what they say they want. So why should you work with an agency to have your branding developed? I have 3 great reasons why I believe you need to consider an agency when you are rebranding or setting up a new business. An agency (and they don't need to be a huge one) will have the skills and experience needed to develop your brand across all potential touch points. They will be able to picture your brand in a variety of mediums, uses, and real life scenarios, and thus, make sure that the final product they deliver to you will have the flexibility you need to work everywhere. They will be able to provide you with key colours, wording, imagery, tone and voice that will be in keeping with your vision - enabling and guiding you with how you present yourself to the wide world. I found this approach invaluable for both the development of a brand for my new business as well as our digital agency rebranded completely in 2015. The investment was sound. Often when we do things ourselves, we can be a little blinded to how the outside sees us. Whether we just can’t quite nail the delivery, or mix our messages, how the outside world sees us can often be different to how we see ourselves. We may understand our business vision, our why very clearly, but we may know it so well we only communicate that in shorthand to our team and so miss part of the important storytelling that is needed to communicate fully to others. An agency allows this to happen, they are at arm's length and so don’t have preconceived ideas of who you are. They just listen to your story and help you tell it visually. A good agency, when developing your brand with you, will ask a series of questions to better understand you, your business, and your approach. Often these questions will be things that you never thought to ask yourself. Again, often we are too close or too busy to ask these questions, or reflect on the answers. An agency will get to the heart of who you are. Of course it will be a given that a good agency will be across design trends, styles and classic features that never date. You should feel comfortable when you deal with them, confident that they get you. No brand can be developed without your input, your why. Any make sure you secure the IP of all branding work when the job is done. Who knows what you might want to do in the future? But once this foundation is laid, then you yourself will have plenty of opportunities to have more of this work. I am a digital strategist, creator and founder of the Summit School. I also jointly own, Big Blue Digital, a digital agency based in regional Australia with clients nationally. I specialise in helping small business owners, entrepreneurs and marketers use digital tools to grow their business. Leanne, persuasively put. I second what you have written. When product, price and service are similar, the power of the brand makes all the difference in the purchase decision. A strong brand can turn a buyer's market into a seller's one. A strong brand attracts customers and the best staff. A strong brand increases the sale price of the business. The fact that the potential value of a brand is rarely considered during its development is another failing of the DIY methodology. Your brand’s value (as well as its associated IP) may one day need fund your retirement, or form the basis of a national franchise.Every brand must be devoid of fatal impediments that restrict your capacity to grow regionally, diversify into new market revenue streams or simply attract investment capital. Your enterprises brand represents its potential value and is what every business owner works each day to create and sustain.I always emphasise that a genuine commercial brand must never include any content that appears on an envelope addressed personally to the business owner. There are very few legitimate exceptions to this rule.